We are so excited to announce Goose Island Beer Co.'s 312 is a route sponsor for Bike the C-Bus 2011. Goose Island is also sponsoring the after-party at Hal & Al's with 312 and Matilda beer sales to be donated to our non-profit partners! Details soon! Tour de France - Aquaphor Le Tour Challenge - Ride and Win! Bienvenue! The Aquaphor Le Tour Challenge is your opportunity to ride alongside the top pros in the 2011 Tour de France - VIRTUALLY. Create a team - compete for prizes! Compete Against Cycling Pro Levi Leipheimer! from MMF Support on Vimeo. Virtually compete against 2011 Tour de Suisse champion and Team RadioShack member Levi Leipheimer in the 2011 Aquaphor Le Tour Challenge, powered by MapMyRIDE and VERSUS/NBC Sports! *Video uploaded by the MapMyRIDE/MapMyFITNESS corporate team. THE METROPARKS BICYCLE TOUR offers you the opportunity to visit up to four scenic, wooded, Toledo Metroparks and view the historic Maumee River. There are four routes: a fifteen mile route through Oak Openings; a 31 mile route to Fallen Timbers Monument, plus Oak Openings and Farnsworth Parks; a 62 mile route which also goes to Secor Park; and a 100 mile route which visits the same parks as the 62 mile loop, plus the scenic roads of Fulton County. Maps and marked routes with pavement arrows. SAG service for emergencies or non-repairable breakdowns. Where: Tour will begin and end at Fallen Timbers Middle School at 6119 Finzel Rd. in Whitehouse, Ohio . (FROM SOUTH) Head north on I-75 to I-475 north, exit on US-24 toward Waterville, Ohio, turn right at first traffic light onto Dutch Rd., Take Dutch Rd. to end and turn right on Finzel Rd., school on right 1 mile ahead. (FROM NORTH) Head south on US-23 to I-475 south, exit on US-24 toward Waterville, Ohio, turn right at first traffic light onto Dutch Rd., Take Dutch Rd. to end and turn right on Finzel Rd., school on right 1 mile ahead. When: Registration will be open at 7 AM to 10 AM. on Saturday, July 16, 2011. Longer distance riders should start early. Food: Snack stops on all routes. Lunch for 100 mile, and 62 mile and 31 mile riders only in park along he beautiful, tranquil Maumee River. Children: are encouraged to participate to the extent of their abilities. All riders under the age of 18 must have a release form signed by parent or guardian. Those under 16 must be accompanied by a responsible adult. Helmets: All riders are reqired to wear an ANSI/Snell/CPSC approved helmet while riding. 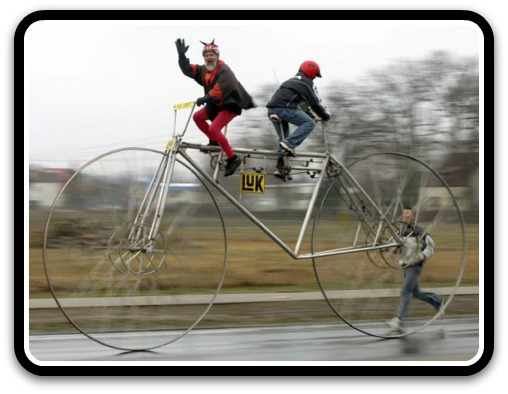 Safety: Ohio law regards the bicycle as a vehicle. The same rules apply to a bicyclist or a motorist. This means riding WITH traffic, stopping at all stop signs and red lights and giving hand signals to indicate turns. Be courteous to motorists and move to the right in single file to permit vehicles to pass. Safety is your own responsibility. Come explore Vermont's most popular multi-use trail. Stop into the ECHO Lake Aquarium and Science Center. Have a picnic lunch at the Mayes Landing picnic area at the base of the bridge or out on the causeway. Go for a swim. Bicycling, running, walking and inline skating are all popular trail activities. Trail Conditions: the 5 miles of trail in Colchester at the north end of the trail are unpaved and are not recommended for inline skates or road bikes with narrow tires. 3 of this 5 miles has fairly soft gravel coverage; some riders may need to get off and walk, though others will be able to ride right through. The last 2 miles are a harder packed gravel surface. Check out pics from my trip a few years ago. This is one sweet, scenic, mostly rural and rolling ride of 62, 42, or 25 miles, with ice cream at rest stops along the way. A great grilled burger and dogs at the end. Scenic rolling terrain through quaint small towns of southern Medina and northern Wayne County. See the charm and grace of Western Reserve towns and beautiful farmland. There are three routes: 62, 42, and 25 miles. The 62 and 42 mile routes will take you Hartzler Family Dairy Ice Cream shop near Wooster, Ohio for an ice cream cone.The 62 mile route continues through the scenic Overton Galley to West Salem, while the 42 mile returns to the start/finish. The 25 mile route, for the casual rider, will take you on a shorter enjoyable ride. The Start/Finish is at the Medina County University Center located at 6300 Technology Lane off of Route 162 just south of Medina, Ohio between Route 3 and Route 42. The cost is $20.00 prior to July 2 and $25 after that date. The ride will include a map, Road arrows, a snack stop on the long route, and a free cookout for all riders back at the Medina County University Center. This will be a sagged ride with the support of Century Cycles, but riders should be prepared to make some of their own repairs. Riders should bring basic tool, patch kit and spare tube, pump, water bottles, etc. Participants must wear an approved bicycle helmet while riding in all MCBC bicycling events. Please observe all traffic laws and show courtesy to other riders and motorists. A few years ago I had the chance to ride the Missisquoi Valley Rail Trail from St. Albans, VT to Richford, VT just south of the Canadian border. It is a beautiful trail. Check out my pics. Welcome to Franklin County, Vermont’s True Treasure. Within the County’s borders lies a wealth of culture, natural resources, and recreation opportunities. Whether you walk, ski, or ride, a trip on the Missisquoi Valley Rail Trail takes you into the heart of Northern Vermont’s agricultural open lands. The Trail wanders through the farms, forests, fields, and wetlands of Franklin County at a railroad’s pace – slow, steady grades with sweeping bends. For the full length of the Trail, you’ll see the postcard images of Vermont you’ve grown to love. You’ll also see the families and working landscapes that created and support this spectacular scenery. Join the celebration at our fairs, festivals, and parades. There is something to do in every season. Travel to nearby attractions without packing your bags. Take a train; ride your bicycle; board the bus; paddle a canoe; clip on your skis. We’re just a short trip from European Montreal, metropolitan Burlington, the beautiful Lake Champlain Islands, Lake Memphremagog, President Chester Arthur Historic Site, and several major ski areas. Saturday, July 30 9:00 AM Class A, B, C. Maps will be provided. No fee. Ohio Amish Country - where the pace is more relaxed and the scenery is absolutely stunning! This ride will take you into Holmes County which has the largest Amish population in the world. We'll pass through several cozy villages such as Charm, New Bedford, and Sugar Creek - the little Switzerland of Ohio. Enjoy beautiful scenery, sample homemade foods and listen for the clip-clop of a horse and buggy. After the ride, visit Roscoe Village, a restored 19th century canal town. Routes of 55 and 72 miles with rolling to hilly terrain. Ride starts from parking lot near the south end of Roscoe Village. Take SR 16 east to Coshocton and exit at the SR 541 exit. Turn left onto SR 541, cross the freeway, and then take the first left past Roscoe Village (S. Whitewoman St.) The parking lot is located at the SW corner of SR 541 and S. Whitewoman St. The Greene Trails Cycling Classic is a fun, family-oriented getaway that is easy on your wallet and friendly to the environment and your health! It is a multi-day event centered in Greene County, Ohio, and is designed to showcase the nationally recognized rail-to-trail system that exists there - and beyond, as well as the communities along the trails. All rides begin and end at the GTCC campground located at the Fairgrounds Recreation Center beside the Greene County Fairgrounds in Xenia. Each day features and utilizes a different section of the trail with route(s) supported for rider convenience and safety. Routes include on-trail, out-and-back trips, as well as extended rides on rural roads for designated days. The broad network of trails provides an exceptional cycling experience for those families and individuals who want to take part in a bicycle or skating tour, but prefer the safety and comfort of staying on the trails. Alternate routes offer a choice for the more adventurous. Each day will offer special entertainment opportunities, and lots of exciting surprises. The 2010 GTCC hosted wonderful people from 14 states. We invite you to join us for the 2011 event. The hospitality of the folks in Xenia and the communities along the trails will make you feel welcome and provide your family with a memorable vacation. Whether you want to make this a Thursday - Sunday event, or any portion thereof, we have the option that is just right for you, your family and friends! 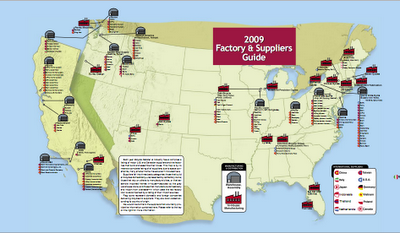 Where does your bike come from? Find it on the map! 2nd Annual TOUR DE CAUSE is Saturday, July 16th! All proceeds go to the Recovery Center of Fairfield County to distribute to drug addiction and awareness programs. The A&F Challenge is hosted by Abercrombie & Fitch on their New Albany, Ohio campus to raise significant dollars to benefit charities in central Ohio and in communities all over the United States where Abercrombie & Fitch does business. The A&F Challenge first began in 2001 and has raised over $9.5 million with an average attendance of 2,500 participants each year. In 2007, Abercrombie & Fitch committed to raise 10 million dollars over 10 years to support the development of the 'Abercrombie & Fitch Digestive Disease Center' for The Ohio State University Medical Center and 'The Abercrombie & Fitch Women's Oncology Center' for The James Cancer Hospital. Funds raised this year will again be donated to the Ohio State University Medical Center's program for health. Abercrombie & Fitch will underwrite all event costs, allowing 100% of each donation to directly benefit The Ohio State University Medical Center.The A&F Challenge is hosted by Abercrombie & Fitch on their New Albany, Ohio campus to raise significant dollars to benefit charities in central Ohio and in communities all over the United States where Abercrombie & Fitch does business. The A&F Challenge first began in 2001 and has raised over $9.5 million with an average attendance of 2,500 participants each year. In 2007, Abercrombie & Fitch committed to raise 10 million dollars over 10 years to support the development of the 'Abercrombie & Fitch Digestive Disease Center' for The Ohio State University Medical Center and 'The Abercrombie & Fitch Women's Oncology Center' for The James Cancer Hospital. Funds raised this year will again be donated to the Ohio State University Medical Center's program for health. Abercrombie & Fitch will underwrite all event costs, allowing 100% of each donation to directly benefit The Ohio State University Medical Center. Sacha White is a rock star in the elite, $100 million handmade-bicycle industry. Sacha White at his Portland, Ore., headquarters. Customers wait five years and spend from $5,000 to $12,000 for his creations. Last year, five of his bikes appeared in an exhibition at the Museum of Arts and Design in New York. Mr. White has a long list of customers who wait five years to spend from $5,000 to $12,000 for his creations. Lance Armstrong's people have contacted him about getting a Vanilla bicycle (as Mr. White's brand is called), but "I don't know if he wants to wait," Mr. White said. The appeal of Vanilla bikes lies in both fashion and function: They are known for their smooth ride and speed and for a unique look that blends retro features and unusual paint colors with hand-carved lugs and silver bonding. Mr. White, 34, won't say what he earns, but the company sells about 50 custom bikes a year plus almost 100 of its newer Speedvagen line, which is built in-house by other frame makers, all of which would generate about $600,000. "I am not living large, but I am living well," he said. Bike the C-Bus 2011 REGISTRATION IS OPEN! We will be rolling out our route and sponsors in the next few weeks. In the meantime, take a moment and register so that you can guarantee you t-shirt and save $5. We have some great sponsors for the event and after-party this year. Great cycling event this weekend! Pittsburgh Mountain Bike Festival 2011. It's FREE. Join us for PTAG's 6th annual Mountain Bike Festival celebrating riding in Allegheny County Parks! 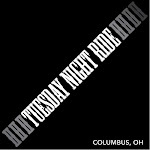 Group rides at all skill levels will happen in Boyce Park, Hartwood Acres and North Park. Closing party in Boyce Park following the rides. Meet at the parking lot by the school on Middle Road. Meet at soccer fields parking lot. Party to follow ride on July 17. DirtRag, REI, Allegro Hearth Bakery, Dirty Harry's, Mad Mex, The Rosecliff Tavern. Are you looking for a cool way to get around, yet you want to be unique? Well here are 35 bicycles that will help you fill that need. 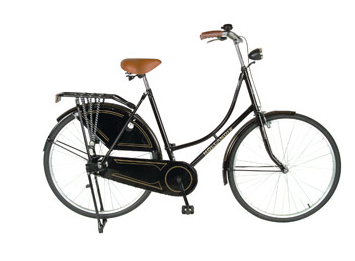 These bikes range in all sizes, shapes, and forms, for everything from riding on the street to cruising down the beach.